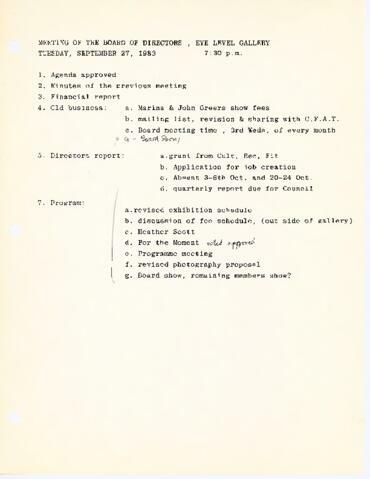 Item consists of meeting minutes from a Board of Director's meeting at Eye Level Gallery. Topics discussed at the meeting included financial report, director's report and programming. The item also includes a list entitled "Current Proposals" for upcoming exhibitions.